Are you in a need of replacement keys for Nissan? Are you locked outside of you Nissan? You have reached to the right place! 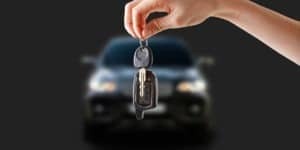 Pro Keys services will provide you the ultimate car key replacement service and we are the leading professional automotive lock smith company in the Dallas Fort-worth area. Pro Keys automotive Nissan key replacement service for Nissan includes extensive locksmith services of key making and Nissan key replacement for all models of Nissan as well as all automotive emergency lock smith services for all models of Nissan vehicles. We have a team of professional and experienced technicians that are available 24 hours 7 days a week to provide you with full Nissan automotive locksmith services which includes Nissan Key replacement, and Nissan Lockout services fast and easy! We strongly recommend not to wait to get to the point of losing keys, but making a spare car key replacement for your Nissan vehicle, just as our mamma would tell us, It’s better be safe than sorry. So always keep a set of spare car keys replacement. Picture this scenario; You just want to get home after a long day at the office, or just finished your grocery shopping, as you reach for your keys, you realize they are gone! the initial thought is “I LOST MY CAR KEYS” What do i do now? so, first of all, take a deep breath and relax, We can be in your location in minutes, and provide you with fast, quality automotive locksmith lockout service, without causing any damage to your vehicle, and get you in it quickly. The technician will arrive fully equipped with state of the art locksmith tools in order to be able to solve any unexpected locksmith situation that might pop up! WE ARE FULLY STOCKED WITH ALL NISSAN BLANK KEYS AND REMOTES IN ORDER TO SAVE YOU TIME AND MONEY AND PROVIDE YOU A QUICK AFFORDABLE SOLUTION!